Israeli forces continued with systematic crimes, in the occupied Palestinian territory (oPt), for the week of 07 – 13 March, 2019. Israeli forces continued to use excessive force against peaceful protestors in the Gaza Strip. A Palestinian civilian was killed and 3 others, including a child, succumbed to their wounds. 150 civilians, including 43 children, four women, three journalists, and three paramedics, were wounded. The injury of four of them were reported serious. Three Palestinian civilians were killed; one of them was killed by the Israeli forces in the West Bank. Five Palestinian civilians sustained wounds in different incidents in the West Bank. In the Gaza Strip, the Israeli forces continued to use lethal force against the participants in the peaceful protests organized along the Gaza Strip borders, which witnessed the peaceful protests for the 50th week along the eastern and northern border area of the Gaza Strip. They also continued to use force as well during the incursions into the West Bank. In the Gaza Strip, Israeli forces killed a Palestinian civilian and 3 other civilians, including a child, succumbed to their wounds. Moreover, 150 civilians, including 43 children, 4 women, 3 journalists, and 3 paramedics, were wounded while participating in the Return March. The injury of four of them was reported serious. Furthermore, four Palestinian fishermen were wounded. In the West Bank, the Israeli forces killed 3 Palestinian civilians; one of them was shot dead by the Israeli police. Moreover, five civilians were wounded in different shooting incidents in the West Bank. In the Gaza Strip, Israeli forces killed Tamer Khaled Mustafa ‘Arafat (23) while participating in the Return and Breaking Siege March, east of al-Shawkah village, east of Rafah, south of the Gaza Strip. Tamer was hit with a live bullet to the head at approximately 17:25, while he was around 150 meters away from the border fence, east of al-Shoka, east of Rafah. Tamer’s death was declared at approximately 18:40. In the same context, three civilians, including a child, succumbed to wounds they sustained while participating in the Return and Breaking Siege March. On 07 March 2019, medical sources at al-Shifa Hospital in the Gaza City, declared the death of Saif al-Deen Abu Zaid (14), from al-Zaytoun neighborhood, after he succumbed to his wound he sustained. Saif was hit with a live bullet to the head when the Israeli forces stationed along the border fence with Israel opened fire at Palestinian young men and children present in Malaka area, east of al-Zaytoun neighborhood, east of Gaza City. On 11 March 2019, medical sources at the Gaza European Hospital in Khan Yunis, south of the Gaza Strip, declared the death of Bassam Safi (22), from Khan Yunis Camp. Bassam succumbed to wounds he sustained after being hit with a tear gas canister at the head on 22 February 2019 while participating in the Return and Breaking Siege March in eastern Khuza’ah, east of the city. On 11 March 2019, the medical sources at al-Aqsa Hospital in Deir al-Balah, declared the death of Mussa Mohammed ‘Abd al-Karim Mussa (23), from Deir al-Balah, who succumbed to his wounds. On Friday, 01 March 2019, Mussa was hit with a live bullet to the abdomen while he was participating in the Great March of Return, east of al-Buraj in the central Gaza Strip. Mussa was taken to al-Aqsa Hospital, where he underwent a surgery and then admitted to the ICU until he succumbed to his wounds. In excessive use of lethal force against the peaceful protesters in eastern Gaza Strip, Israeli forces wounded 150 civilians, including 43 children, 4 women, 3 journalists, and 3 paramedics, while participating in the Return March. The injury of four of them was reported serious. As part of targeting the Palestinian fishermen in the sea, the Israeli forces continued to escalate their attacks against the Palestinian fishermen, indicating the on-going Israeli policy to target their livelihoods. During the reporting period, PCHR documented 9 incidents were as follows: 7 incidents adjacent to al-Waha Resort, 1 incident adjacent off Dir al-Balah Shore, and 1 incident off Rafah Shore. The Israeli naval forces’ attacks on Palestinian fishing boats resulted in the arresting of 7 fishermen and the injury of 4 others, in addition to confiscating 2 fishing boats and damaging another one. As part of targeting the border areas, on 07 March 2019, Israeli forces stationed along the border fence with Israel, opened fire at Palestinian shepherds and agricultural lands, east of Deir al-Balah in the Central Gaza Strip. At approximately 14:00, the Israeli shooting recurred in the area. On 09 March 2019, Israeli forces opened fire at agricultural lands, east of al-Maghazi Camp in the Central Gaza Strip. On 10 March 2019, Israeli forces opened fire at agricultural lands, east of al-Shawkah village, east of Rafah, south of the Gaza Strip. The Israeli shooting recurred at approximately 15:40 and no injuries were reported. As part of airstrikes, on 09 March 2019, an Israeli drone fired one missile at a land, east of Gaza Valley village (Johr al-Dik), southeast of Gaza City, and no casualties or damage to property were reported. On 10 March 2019, an Israeli drone fired two missiles at a seaport in the vicinity of a building belonging to the General Union of Fishing Workers in Deir al-Balah in the central Gaza Strip. As a result, three fishing boats were damaged and three windows were broken in the building of the General Union of Fishing Workers, and no casualties were reported. On the same day, an Israeli drone fired two missiles at a seaport in Khan Younis, south of the Gaza Strip. As a result, a building belonging to the General Union of Fishing Workers and a fishing boat sustained damage and no casualties were reported. In the West Bank, in a new crime of excessive use of lethal force, Israeli police officers killed a Palestinian civilian, from Fassayel village, north of Jericho. “Yedioth Ahronoth” published that Israeli security sources said that a Palestinian civilian was driving his car and while passing through a police checkpoint, he passed a parked vehicle and refused to stop, so that the Israeli police officers opened fire and killed him. It should be noted that the Israeli forces could have used less lethal force against him, arrest him and reffer him to investigation. In a new crime of excessive use of force, Israeli forces killed a Palestinian civilian while passing by al-Rajaby building, which the settlers took over several years ago, in al-Ras neighborhood, east of Hebron, and his corpse was taken to an unknown destination. He was killed under the pretext that he intended to carry out a stabbing attack, but PCHR’s investigations refuted those allegations. In a similar crime, Israeli forces killed Mohammed Jamil ‘Abdel Fattah Shahin (24), from Salfit. Mohammed was killed when the Israeli forces moved into the village. Dozens of Palestinian young men gathered to confront the Israeli soldiers, who opened fire at the protestors. In the same context, the Israeli forces wounded 5 Palestinian civilians in different shooting incidents in the West Bank. As part of the collective punishment policy adopted by the Israeli forces against the Palestinian civilians accused of carrying out attacks against Israeli soldiers or/and settlers, on Thursday, 07 March 2019, the Israeli forces demolished a house belonging to the family of ‘Asem ‘Omer al-Barghouthi in Cooper village, north of Ramallah.It should be mentioned that the Israeli supreme court refused on 04 March 2019 the petition submitted by al-Barghouthi family against the house demolition decision. Thus, the court proved again its violation of the international humanitarian law and international human rights law and being one of Israel’s mechanisms to punish the Palestinian civilians and take revenge from innocents. It is noteworthy that on 08 January 2019 the Israeli forces arrested ‘Asem al-Barghouthi and accused him of shooting at Israel soldiers near “Givat Asaf” settlement outpost, north of Ramallah on 13 December 2018 and killing at the time 2 Israeli soldiers and seriously wounded 2 others. During the reporting period, Israeli forces conducted at least 82 military incursions into Palestinian communities in the West Bank and 10 other incursions into Jerusalem and its suburbs. During those incursions, Israeli forces arrested at least 45 Palestinians, including 3 children and a woman, from the West Bank, while 43 other civilians, including 11 children and 7 women, were arrested from Jerusalem and its suburbs. Moreover, the Israeli forces mal-treated the families whose houses were stormed, in addition to confiscating their money. Among those arrestees was the PLC member, Mohamed Hasan Abu Tair (68). As part of the Israeli house demolitions and notices, 08 March 2019, ‘Atallah ‘Eliwat self-demolished his house in Silwan village, south of occupied East Jerusalem’s Old City, to implement the Israeli Municipality decision. ‘Atallah said that the Israeli Municipality issued a decision to demolish the house, despite his attempts to license it and paying fines estimated at NIS 100.000. He added that on Friday evening, he self-demolished parts of his 80-sqaure-meter house built 8 years ago. It should be noted that the house sheltered 7 members, including 5 children. On 09 March 2019, Elham Ja’abees self-demolished her house in al-Mokaber Mount area, southeast of occupied East Jerusalem, to impellent the Israeli Municipality decision. Elham’s brother ‘Ali said that the municipality notified his sister on 03 March 2019 to demolish her house under the pretext of non-licensing. He pointed out that she paid a lot of money as a fine building, but the municipality insisted to demolish it or the municipality will demolish the house and force her to pay the demolition costs, which is estimated at NIS 30.000. The mentioned house was built on an area of 130 square meters and sheltered 9 members, including 7 children. On 12 March 2019, the Israeli authorities confiscated a caravan used as an agricultural facility in al-Walajah village, southwest of occupied East Jerusalem. The caravan belongs to Waleed Abi ‘Ali. In the same context, 07 March 2019, the Israeli Municipality handed Ayman Rezeq Zarinah and his sons notices to demolish two residential buildings; one of them is under-construction, in Bir ‘Onah area, southwest of occupied East Jerusalem. The Israeli Municipality gave the family until 10 April 2019 to demolish the buildings or it will demolish them and force them to pay the demolition costs. Moreover, the Israeli forces handed Basema ‘Isaa, from Bir ‘Onah area, southwest of occupied East Jerusalem, a notice to demolish her an under-construction building comprised of 2 floors. She said that the Israeli forces raided her house and handed her husband Ibrahim ‘Abdullah ‘isaa a notice issued by the court to demolish their building on 01 April 2019. It should be noted that the Israeli authorities targeted the buildings of Bir ‘Onah area, which are located near al-Nafaq Road, in order to expand this road. As part of seizing Palestinian civilians’ property in favor of settlement associations, on 11 March 2019, the Israeli Execution and Procedure Department handed the heirs of the late Maryam Abu Zowair a notice to evacuate their facility in Silwan village, south of occupied East Jerusalem in favor of El’ad” Settlement Association. The Israeli Court gave the family until the end of March to implement the eviction decision for the facility located in Wadi al-Helwa neighborhood. The facility is a house, where Elham Siyam and her four children live in, in addition to 1.5- dunum plot of land. The sons of Monirah and Fatemah Siyam, the heirs of the late Zowair, are fighting from 22 years in the Israeli Courts to protect their facility, prove their ownership and refute the settlement association’s claims. The settlement association did all its efforts to seize the facility during the past years. As part of house demolitions, on 07 March 2019, Israeli forces demolished an under-construction house belonging to Mosheer Suliman Mahmoud Saif, from the mentioned village. The house was comprised of 2 floors; the first one built on an area of 150 square meters while the second built on an area of 250 square meters. The demolition was carried out under the pretext of non-licensing in area classified as Area C, noting that the house built on the land classified as Area B, according to the Palestinian classification. On the same day, Israeli forces moved into Kherab al-Sakinah in al-Masafer area in Yatta, south of Hebron, and confiscated 4 residential tents and 3 other tents used for breeding livestock in (al-Fakhit- al-Majaz- al-Dakikah) areas, under the pretext of building without a prior permission. On 13 March 2019, Israeli forces demolished a 120-sqaure-meter barrack used for breeding livestock and a 12-sqaure-meter agricultural room attached to it. The barrack and agricultural room, which were built 2 years ago, belong to Basem Zait. As part of levelling lands and uprooting trees, on 10 March 2019, Israeli forces leveled a 800-sqaure-meter plot of land, demolished stone chains and uprooted 80 trees. The trees were as follows: 40 olive trees, 3 almond trees and 10 grapes. The plot of land belongs to Khaled Mohamed Salman al-Samaheen. On 12 March 2019, Kastro was surprised with cutting and damaging 30 olive trees planted in 12-dunum-plot of land. Kastro said that the Israeli settlers cut the trees 2 days ago. It should be noted that this is not the first time that Israeli settlers attack the plot of land, but this is the fifth time during the past 5 years. As part of Israeli settlers’ attacks, Israeli settlers levelled 10 dunums in Jaloud village, southeast of Nablus. The dunums belong to the heirs of the late Ibrahim ‘Abed al-Haji Mohamed. Gaza City: The Israeli shooting at Palestinian demonstrators resulted in the injury of 59 civilians, including five children and a women. 30 of them were hit with live bullets and shrapnel, 19 were directly hit with tear gas canisters and ten were hit with rubber bullets. Northern Gaza Strip: the Israeli shooting at Palestinian demonstrators resulted in the injury of 14 civilians, including seven children. Four of them were hit with live bullets and shrapnel, eight were directly hit with tear gas canisters and two were hit with rubber bullets. Central Gaza Strip: The Israeli shooting at Palestinian demonstrators, which continued until 18:00, resulted in the injury of 36 civilians, including 18 children, a woman and a journalist. Twenty-three of them were hit with live bullets and shrapnel and 13 were directly hit with tear gas canisters. The injury of one of them was classified as serious. The wounded journalist identified as Hussain Jamal Mohammed Mansour (27), from al-Buraij Refugee Camp, was hit with shrapnel to his hands. Hussain works as a freelance journalist. ‘Ali Bahjat al-Qassas (36), a volunteer paramedic at the PRCS, who was hit with a tear gas canister to the face. Ghaleb Samir Abu Khater (29), a volunteer paramedic at the PRCS, who was hit with a tear gas canister to the hand. Mohammed Rajab Abu Jazar (21), a volunteer paramedic at PMRS, who was hit with a tear gas canister to the neck. Yasser Mamdouh al-Qadi (32) who was hit with a live bullet to the right foot and works at Kan’an Agency. Hussam Saleh Ahmed al-‘Adlony (30) who was hit with a tear gas canister to the left thigh and works as a freelance journalist. Rafah: The Israeli shooting at the demonstrators, which continued from 14:00 until 17:00, resulted in the killing of Tamer Khaled Mustafa ‘Arafat (23) and the injury of 15 civilians, including five children and a woman. Nine of them were hit with live bullets and shrapnel and six were directly hit with tear gas canisters. The injury of three of them was classified as serious. Moreover, Tamer was hit with a live bullet to the head at approximately 17:25, while he was around 150 meters away from the border fence, east of al-Shoka, east of Rafah. Tamer’s death was declared at approximately 18:40. At approximately 00:40 on Thursday, 07 March 2019, the medical sources at al-Shifa Hospital in Gaza City declared the death of Saif al-Din ‘Emad Nasser Abu Zaid (14), from al-Zaytoun neighborhood, who succumbed to his wound. It should be noted that at approximately 21:40 on Wednesday, 6 March 2019, Saif al-Din arrived at al-Shifa Hospital after being hit with a live bullet to the head when Israeli soldiers stationed along the border fence with Israel fired live and rubber bullets and tear gas canisters at a group of Palestinian children and young men in Malaka area, east of al-Zaytoun neighborhood, east of Gaza City. At approximately 03:50 on Monday, 11 March 2019, the medical sources at the European Gaza Hospital in Khan Younis in the southern Gaza Strip, declared the death of Bassam Sami ‘Othman Safi (22), form Khan Younis, who succumbed to his wound. According to PCHR’s investigations, at approximately 16:00 on Friday, 22 February 2019, Bassam was directly hit with a tear gas canister to the head while he was around 150-200 meters away from the border fence with Israel, southeast of Return Camp in Khuza’a, east of Khan Younis. Bassam was standing among a group of demonstrators doing nothing. He was then taken to a medical field point then to the European Gaza Hospital. Bassam was admitted to the ICU due to his serious health condition until he succumbed to his serious wound. 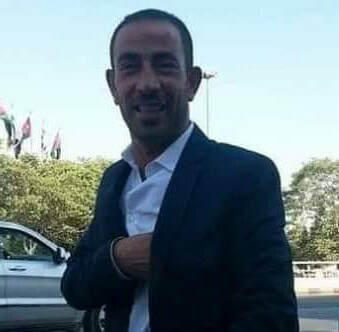 At approximately 10:30 on Monday, 11 March 2019, the medical sources at al-Aqsa Hospital in Deir al-Balah, declared the death of Mussa Mohammed ‘Abd al-Karim Mussa (23), from Deir al-Balah, who succumbed to his wounds. On Friday, 01 March 2019, Mussa was hit with a live bullet to the abdomen while he was participating in the Great March of Return, east of al-Buraj in the central Gaza Strip. Mussa was taken to al-Aqsa Hospital, where he underwent a surgery and then admitted to the ICU until he succumbed to his wounds. Following the Friday prayer, on 08 March 2019, dozens of Palestinian civilians headed to Beit Sira village’s entrance, west of Ramallah, and gathered near an Israeli military watchtower established in the area, calling for returning the bodies of Amir Daraj and Youssof ‘Enqawi, who were killed on 04 March 2019 by the Israeli forces in Kafur Ni’mah village, and their bodies were detained. After the demonstrators arrived at the area, the Israeli soldiers fired live and rubber bullets, tear gas canisters, and sound bombs at them. As a result, a 22-year-old civilian was hit with a rubber bullet to the head and then taken via a PRCS ambulance to the Palestine Medical Complex in Ramallah to receive treatment. As part of the collective punishment policy adopted by the Israeli forces against the Palestinian civilians accused of carrying out attacks against Israeli soldiers or/and settlers, on Thursday, 07 March 2019, the Israeli forces demolished a house belonging to the family of ‘Asem ‘Omer al-Barghouthi in Cooper village, north of Ramallah. According to PCHR’s investigations, at approximately 01:30 on the abovementioned day, Israeli forces backed by 20 military vehicles and armored personnel carriers in addition a Volvo military bulldozer moved into Cooper village, north of Ramallah. The soldiers got off their vehicles and deployed in the center of the village and between the houses. A number of them topped the roofs and closed the entrances leading to the vicinity of the family house belonging to detainee ‘Asem ‘Omer al-Barghouthi (33). Many Israeli soldiers then raided the abovementioned house to implement the demolition order which the family previously was informed of. Dozens of Palestinian youngsters and young men then gathered and threw stones and empty bottles at the Israeli soldiers deployed in the center of the village and set fire to tires. The Israeli soldiers then in response heavily fired teargas canisters at them; as a result, many civilians suffered tear gas inhalation and fainted. Meanwhile, the Israeli military bulldozer was demolishing the walls of the 2-storet house built on an area of 280 square meters. At approximately 04:00, the Israeli forces completely demolished the house and later withdrew from the village. It should be mentioned that the Israeli supreme court refused on 04 March 2019 the petition submitted by al-Barghouthi family against the house demolition decision. Thus, the court proved again its violation of the international humanitarian law and international human rights law and being one of Israel’s mechanisms to punish the Palestinian civilians and take revenge from innocents. It is noteworthy that on 08 January 2019 the Israeli forces arrested ‘Asem al-Barghouthi by officers from the Yamam Unit, which is part of the Israeli “Mista’arvim” units and dressed like Palestinian civilians, when he was in Abu Shkeihdem village, north of Ramallah. The Israeli authorities accused al-Barghuthi of shooting at Israel soldiers near “Givat Asaf” settlement outpost, north of Ramallah on 13 December 2018 and killing at the time 2 Israeli soldiers and seriously wounded 2 others. Further, the Israeli authorities accused him of participating with his brother Saleh, who was assassinated by the Israeli soldiers on 12 December 2018, in a shooting incident near “‘Ofra” settlement, east of the city. At approximately 09:00 on Monday, 11 March 2019, the Israeli authorities closed 6 dirt roads in the southern area of Hebron. The residents used these roads to access their houses and agricultural lands. The Israeli Civil Administration officer did not clarify the closure reasons. The closure included the following roads: the road connects between Ma’een village and Kherbit Sha’b al-Baten, southeast of Yatta; the sub-raod leading to Kherbit Wad Jehish, south of Yatta; the road of Khelet al-Mayiah leading to Yatta’ the road connects between Kherbit Ghowain and al-Kharabah area; the road leading to Kherbit Raffat, southwest of Samou’a; and the road leading to Kherbit Maqtal Musallam, south of Samou’a. At approximately 13:00, on Thursday, 07 March 2019, Israeli police raided al-Rahma Gate Mosque, east of al-Aqsa Mosque in the Old City in occupied east Jerusalem, and took pictures for those who were there. In addition, eyewitnesses said that the Israeli police raided the mosque and took photos for the worshipers who were there, resulting in an altercation between both the Israeli police and the Palestinian worshipers. This tension came after the Israeli police sealed with chains the door on the top of the stairway leading to “al-Rahma Gate” building last month, outraging the worshipers who broke the door after performing their prayers near the mosque. The events continued to escalate as the worshipers were attacked and arrested in addition to denying them entry to al-Aqsa Mosque as well as attacking al-Aqsa guards. As a result, the worshipers, in cooperation with Islamic Endowment Department (Awqaf), were able to open the mosque, which has been closed for 16. After that, the Israeli police conducted a two-week arrest campaign targeting religious figures, activists, women, and children, who were able to break the steel gate and participated in opening al-Rahma Gate Mosque. Moreover, they denied more than 130 Palestinian civilians to enter al-Aqsa Mosque for period ranging from weeks to months. On the same day evening, Israeli forces arrested seven Palestinian women and a man when they were on their way out of al-Aqsa Mosque in the Old City in occupied East Jerusalem, taking them to al-Qashala police station in west Jerusalem to interrogate them. Lawyer Khaled Zabarqa said that Israeli police extended the women’s detention on charges of disturbing public order. The arrested women were identified as Nehad Mahajna, Islam Mahameed, Nour Mahameed, Montaha Emara, Samah Mahameed, Raeeda Sa’eed, and Sou’ad in addition to sheikh Nour al-Deen Ishaq al-Rajabe (57), who was released several hours after being arrested. Eyewitnesses said that the arrests were carried out at al-Asbat (Lion), Hata and al-Majles gates. That coincided with settlers raiding al-Rahma Cemetery, adjacent to al-Aqsa Mosque, performing their religious rituals and violating the sanctity of the graves by stepping over them. It should be mentioned that on the same day evening the settlers organized the monthly “Gates March”, in which they dance, sing and perform their rituals while raising the Israeli flags. The March started from al-Buraq Wall and passed by al-Aqsa gates. Moreover, eyewitnesses said that the Israeli police provided settlers full protection and closed the roads leading to al-Maghariba (Dung Gate). At approximately 20:00, on Thursday, 07 March 2019, Israeli forces moved into al-Qanater Khdeir neighborhood in the Old City in occupied east Jerusalem. They raided and searched several houses from which they arrested ‘Abdul Rahman Taher al-Sharbati (14) and Ihab Sa’eb Taha (15), taking them to an unknown destination. At approximately 00:00, on Friday, 08 March 2019, Israeli forces moved into Al-Issawiya village, northeast of occupied east Jerusalem. They raided and searched a house belonging to Fady ‘Ali Mohammad ‘Elayan (33) and then arrested him, taking him to an unknown destination. It should be mentioned that ‘Elyan was one of al-Aqsa guards, who were denied access to al-Aqsa Mosque in last January for six months. Moreover, he was arrested several times and spent a whole year in Israeli jails. At approximately 02:00, on Friday, 08 March 2019, Israeli forces moved into several neighborhoods in the Old City in occupied east Jerusalem. They raided and searched several houses from which they arrested three civilians namely ‘Obada Sameer Yusuf Najeeb (20), Waheed Marwan Waheed al-Bakry (19) and Mahmoud ‘Abdullah Najeeb (21). At approximately 14:00, on Friday, 08 March 2019, Israeli forces moved into Jabal al-Mukabir neighborhood, southeast occupied east Jerusalem. They raided and searched several houses, from which they arrested three civilians namely ‘Amer Mahmoud Mash’al (33), Loai Mohammad Salama (27) and Hassan Yusuf Salama (45). At approximately 09:00, on Sunday, 10 March 2019, ‘Omar Ramzy ‘Omar al-Za’neen (18) turned himself in to the Prison Service in al-Ramla to serve his eight-month sentence. Amjad Abu ‘Assab, Head of the Prisoners’ Families Committee in Jerusalem, said that al-Zaneen was arrested many times, denied access to his place of residence in the Old City in al-Ramla and stayed in house arrest for months. Furthermore, the Israeli court sentenced him to eight months of imprisonment, thus he turned himself in. It should be mentioned that al-Za’neen is the goalkeeper of Helal al-Quds Club and plays also for Palestine Junior National Team. At approximately 19:00, on Sunday, 10 March 2019, Israeli forces moved into al-Sa’dya village in the Old City in occupied east Jerusalem. They raided and searched a house belonging to Nedal Abu Diab. Before they withdrew, they arrested his child Nassrallah (13), taking him to Moscovia Detention Center in west Jerusalem. It should be mentioned that the Israeli forces arrested the aforementioned civilian and released him few hours later under the condition of being under house arrest for three days. Later on the same day, they raided the house again and arrested him. At approximately 22:00, on Monday, 11 March 2019, Israeli forces moved into al-Sa’dia neighborhood in the Old City in occupied east Jerusalem. They raided a house belonging to Bahjat Mohammad ‘Ali al-Razem (26) and then arrested him, taking him to an unknown destination. At approximately 01:00, on Tuesday, 12 March 2019, Israeli forces moved into al-Tour neighborhood, east of occupied east Jerusalem. They raided and searched a house belonging to Ahmad ‘Abdullah Abu Ghannam (15) and then arrested him, taking him to an unknown destination. At approximately 02:00, on Tuesday, 12 March 2019, Israeli forces moved into al-Eizariya village, southeast of occupied east Jerusalem. They raided and searched a house belonging to Mohammad Hassan Mattar (40) and then arrested him, taking him to an unknown destination. Following the midday prayer, on Tuesday, 12 March 2019, Israeli authorities imposed a tightened siege on al-Aqsa Mosque in occupied east Jerusalem, closed the gates and completely evacuated it after the police station, which is located in the mosque, was set on fire. Eyewitnesses said that the fire was set to al-Asbat’s Gate Police Station following the midday prayer. Moreover, Israeli forces opened fire at the worshippers and completely locked down the vicinty of the police station. Furthermore, the Israeli forces backed by special forces, police and intelligence officers raided the mosque and closed its gates and then raided the Dome of the Rock and carried out arrests, which included children and women. The eyewitnesses added that the Israeli forces severely beat everyone at the mosque, including Islamic endowment “Awqaf” employees, worshippers, women, children, and young men and women, evacuated it and started searching the rooms and offices. Sheikh Wasif al-Bakri, acting chief justice of Jerusalem’s Islamic courts, said that the Israeli forces, upon the order of Jerusalem’s Police Chief, emptied the mosque of Islamic endowment “Awqaf” employees and worshippers. He also said that he along with a group of Islamic endowment “Awqaf” employees attempted to stay in the Dome of al-Nahawiyah, but the Israeli police raided it twice and threatened to get them out by force. PRCS reported that, during those events, their staff offered treatment for six persons injured after being beaten and sustained fractures. Five of them were taken to al-Makassed Hospital. Lawyers Mohammad Mahmoud and Rozan al-Jo’ba said that the Israeli forces arrested 17 civilians, including six children, and that they visited the arrestees in al-Qishla police station in Jerusalem’s Old City and Moscovia Detention Center in west Jerusalem. They added that the arrestees told them that they were hit against the wall and some of them were prevented from wearing their shoes at the moment they were arrested from al-Aqsa Mosque. Moroever some of them were hit on the head and suffocated. PCHR keeps the names of the arrestees. At approximately 02:00, on Wednesday, 13 March 2019, Israeli forces moved into al-Issawiya, northeast of occupied east Jerusalem. They raided and searched several houses and then arrested four civilians, including a child. The arrested civilians were identified as Wassem Iyad Dari (17), Saleh Bader Abu ‘Assab (19), Majd ‘Ali ‘Ata (20), and Khaled ‘Awny Abu Gosh (19). At approximately 11:00 on Thursday, 07 March 2019, the Israeli Municipality handed Ayman Rezeq Zarinah and his sons notices to demolish two residential buildings; one of them is under-construction, in Bir ‘Onah area, southwest of occupied East Jerusalem. The Israeli Municipality gave the family until 10 April 2019 to demolish the buildings or it will demolish them and force them to pay the demolition costs. Waleed Zarinah said that the Israeli authorities handed him a notice issued by the court to demolish a building belonging to his brother Ayman and his sons Rezeq, Mohamed and Salah, or the municipality will demolish it and force him to pay the demotion costs, in addition to confiscating NIS 230.000, which the family was forced to pay as a bail to release Ayman who refused to sign the demolition notice. Ayman’s building is comprised of two floors, including four apartments. Waleed added that the Israeli Court, which belongs to the Ministry of the Interior, detained Ayman after he refused to sign the self-demolition notice, so the family was forced to pay the mentioned money as a bail to release him and implement the demolition by himself before the specified date. Waleed pointed out that the family appoint an Israeli lawyer a year ago after the Israeli authorities threatened to demolish the mentioned building and paid a lot of money to him, but the court decided to demolish the building. He added that the Israeli authorities threatened the family to demolish the rest of the house, which belongs to his borthers Khaled and Ried. In the same context, the Israeli forces handed Basema ‘Isaa, from Bir ‘Onah area, southwest of occupied East Jerusalem, a notice to demolish her an under-construction building comprised of 2 floors. She said that the Israeli forces raided her house and handed her husband Ibrahim ‘Abdullah ‘isaa a notice issued by the court to demolish their building on 01 April 2019. It should be noted that the Israeli authorities targeted the buildings of Bir ‘Onah area, which are located near al-Nafaq Road, in order to expand this road. At approximately 15:00 on Friday, 08 March 2019, ‘Atallah ‘Eliwat self-demolished his house in Silwan village, south of occupied East Jerusalem’s Old City, to implement the Israeli Municipality decision. ‘Atallah said that the Israeli Municipality issued a decision to demolish the house, despite his attempts to license it and paying fines estimated at NIS 100.000. He added that on Friday evening, he self-demolished parts of his 80-sqaure-meter house built 8 years ago. It should be noted that the house sheltered 7 members, including 5 children. At approximately 10:00 on Saturday, 09 March 2019, Elham Ja’abees self-demolished her house in al-Mokaber Mount area, southeast of occupied East Jerusalem, to impellent the Israeli Municipality decision. Elham’s brother ‘Ali said that the municipality notified his sister on 03 March 2019 to demolish her house under the pretext of non-licensing. He pointed out that she paid a lot of money as a fine building, but the municipality insisted to demolish it or the municipality will demolish the house and force her to pay the demolition costs, which is estimated at NIS 30.000. The mentioned house was built on an area of 130 square meters. It should be noted that the Israeli Municipality forced around 7 civilians, from Jerusalem, to self-demolish their shops in late February, under the pretext of non-licensing. At approximately 11:00 on Tuesday, 12 March 2019, the Israeli authorities confiscated a caravan used as an agricultural facility in al-Walajah village, southwest of occupied East Jerusalem. Eyewitnesses said that the Israeli forces moved into the entrance to al-Walajah village and then seized a caravan without a prior warning. The caravan belongs to Waleed Abi ‘Ali. On Monday, 11 March 2019, the Israeli Execution and Procedure Department handed the heirs of the late Maryam Abu Zowair a notice to evacuate their facility in Silwan village, south of occupied East Jerusalem in favor of El’ad” Settlement Association. According to PCHR’s investigations, the Israeli Court gave the family until the end of March to implement the eviction decision for the facility located in Wadi al-Helwa neighborhood. The facility is a house, where Elham Siyam and her four children live in, in addition to 1.5- dunum plot of land. The Israeli authorities’ decisions came before looking for the land’s ownership in the Israeli Supreme Court, which emphasizes that the land, where the house is established, belonging to the late Jameel Siyam not to the late Zowair. Mahmoud Khalil, from Chicago, in collaboration with a broker forged the documents to facilitate the transferring of the facility to the association. The sons of Monirah and Fatemah Siyam, the heirs of the late Zowair, are fighting from 22 years in the Israeli Courts to protect their facility, prove their ownership and refute the settlement association’s claims. The settlement association did all its efforts to seize the facility during the past years. At approximately 06:20 on Thursday, 07 March 2019, Israeli forces backed by military vehicles and accompanied with 3 bulldozers moved into al-Mas’oudiyia area in Burqah village, northwest of Nablus. The bulldozers demolished an under-construction house belonging to Mosheer Suliman Mahmoud Saif, from the mentioned village. The house was comprised of 2 floors; the first one built on an area of 150 square meters while the second built on an area of 250 square meters. The demolition was carried out under the pretext of non-licensing in area classified as Area C, noting that the house built on the land classified as Area B, according to the Palestinian classification. Saif said that he did not receive demolition notice, but he received a notice to stop construction work and granted a chance to refer to the competent bodies in the Israeli Civil Administration. Following that, he headed to the al-Quds Center for legal aid and human rights in order to follow-up his case, but no any court session held to consider the case. Isma’il Ibrahim al-‘Adrah (a 40-sqaure-meter tent in Kherbet al-Fakhith). ‘Isaa Mohamed Abu ‘Arram (a 40-square-meter tent and a 50-square-meter tent used for breeding livestock(. On Thursday, the Israeli authorities notified the owners of 4 agricultural dwellings in Shoshhalah area in al-Khadir village, south of Bethlehem, under the pretext of non-licensing. The notified persons were identified as Mahmoud Salah, Monther Salah, Mousa Ahmed Salah, and Habbas Khalil Salah. The head of the office of the Wall and Settlement Resistance Committee in Bethlehem, Hassan Brejiya, said that the houses’ owners recently restored their houses in order to confront the Israeli forces’ plans aim at seizing the land in favor of settlement projects. He pointed out that the Israeli forces raided al-Rashidah village, southeast of the city and confiscated a truck carrying construction materials. They also handed the village residents notices to evacuate their lands under the pretext of being military areas. 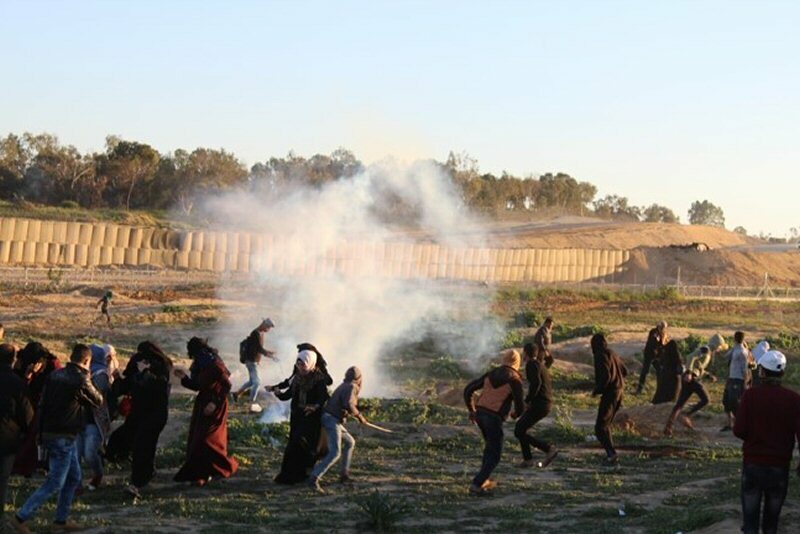 On Friday, 08 March 2019, Israeli forces attacked the Agricultural Relief Society in Nahaleen village, west of Bethlehem, and forced the workers to stop working in the project. Ziyad Salah, the coordinator of the Agricultural Relief Society, said that the Israeli forces forced the workers to stop working in the project and confiscated the tools using in implementing the project of agricultural roads. The project, which is implemented by the Agricultural Relief Society, aims at serving the Palestinian farmers. Ziyad also said that the Israeli forces arrived at the area, stopped the work and then confiscated the tools by loading them on military vehicles. He pointed out that this project is implemented in cooperation with Nahaleen’s municipality. At approximately 09:30 on Sunday, 10 March 2019, Israeli forces backed by military vehicles and accompanied with a vehicle of the Israeli Civil Administration, a bulldozer and a digger moved into Abu Sdodah Mount, north of al-‘Aroub refugee camp, north of Hebron. The Israeli vehicle leveled a 800-sqaure-meter plot of land, demolished stone chains and uprooted 80 trees. The trees were as follows: 40 olive trees, 3 almond trees and 10 grapes. The plot of land belongs to Khaled Mohamed Salman al-Samaheen. At approximately 10:00 on Sunday, Israeli forces backed by military vehicles and accompanied with a vehicle of the Israeli Civil Administration and a mounted-crane truck moved into the western area of Samou’a village, south of Hebron. The Israeli soldiers deployed between houses and the Israeli Civil Administration officer handed Ya’qoub Mostafa Abu ‘Oqail a notice to stop construction works in his an under-construction house built on an area of 80 square meters. The Israeli Civil Administration officers confiscated 8 pallets built of bricks where in the vicinity of the house. The confiscation and stop working came under the pretext of non-licensing in area classified as Area C, according to Oslo agreement. At approximately 10:00 on Tuesday, 12 March 2019, according to the security coordination previously declared by the Palestinian Liaison that allows Palestinians enter their lands in Bureen village, south of Nablus, Kastro Rezeq Mahmoud Qadous headed to a plot of land belonging to the heirs of the late Nimer Jaber, where he works. When he arrived at the land, he was surprised with cutting and damaging 30 olive trees planted in 12-dunum-plot of land. Kastro said that the Israeli settlers cut the trees 2 days ago. It should be noted that this is not the first time that Israeli settlers attack the plot of land, but this is the fifth time during the past 5 years. On Wednesday, 13 March 2019, Israeli forces backed by military vehicles and accompanied with a bulldozer moved into Wadi al-Makhrour area, west of Beit Jalah, west of Bethlehem. The Israeli bulldozers demolished a 120-sqaure-meter barrack used for breeding livestock and a 12-sqaure-meter agricultural room attached to it. The barrack and agricultural room, which were built 2 years ago, belong to Basem Zait. On Saturday, 09 March 2019, the residents of Jaloud village, southeast of Nablus, were surprised with leveling agricultural lands in Khelet Sahal Abu Shabraqah by Israeli settlers, from “Ahiya” settlement and “Ayish Kodesh” settlement outpost, east of Jaloud village. The agricultural lands belong to the heirs of the late Ibrahim ‘Abed al-Hajj Mohamed. The levelled land were around 10 dumuns. It should be noted that Palestinain farmers are only allowed to enter their lands for plowing them after getting a prior permission from the Israeli forces. At approximately 23:00 on Sunday, 10 March 2019, a group of Israeli settlers, from “ Shafi Shamroun” settlement, west of Nablus, carried out riots in the square of Dir Sharaf village, west of the city. They also threw stones at Palestinian civilians and their vehicles and shops, but no injuries among them or damages were reported. Insan Center for Democracy and Rights (ICDR) has accused the Israeli occupation forces (IOF) of justifying the killing of Palestinians by making false claims about their attempt to carry out stabbing attacks. In a press release, the Center described the “extrajudicial killing” of 27-year-old Yasser Shuweiki by Israeli soldiers in al-Khalil city last Tuesday as a crime under the Rome Statute and a violation of the international convention and charters that protect human rights, including the right to life. The Center said that the cold-blooded killing of Palestinians on allegations of their attempts to carry out stabbing attacks are flimsy pretexts used by Israeli soldiers to evade legal responsibility for their crimes. The Center also said that according to a testimony from the victim’s brother, Shuweiki was distributing court notices in al-Khalil when he was shot dead, adding that the brother affirmed that did not see anything confirming the soldiers’ claims.